Associate Professor, Urban Debate League Dir. Robert C. Groven is an associate professor and Co-Chair of the Department of Communication Studies, Film and New Media, the Director of the Minnesota Urban Debate League, and Augsburg University Honors Program Director Emeritus. 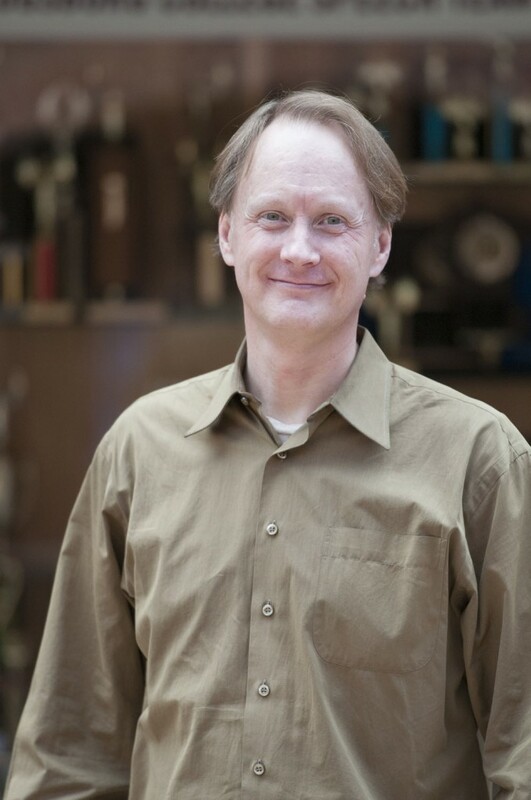 He coached competitive speech and debate for over 25 years at both the college and high school levels and served as the director of forensics and the director of the oral communication skills program for over 10 years. He also currently serves as the faculty parliamentarian and co-chairs the faculty Personnel Committee, among other roles. Professor Groven received his B.A. in speech communication and English from Concordia College, Moorhead, Minn.; his M.A. in speech communication from the University of Minnesota, and his Juris Doctorate from the University of Minnesota. In addition, Professor Groven holds or has held a number of other positions related to communication studies, forensics, law, and service. These include: president of the board of directors of the Kentron Foundation, director of the Concordia Debate Institute, executive board of the Minnesota Debate Teachers Association, the fine arts ad hoc advisory committee to the High School League, the Communication and Theater Arts Association of Minnesota, debate section representative for the Minnesota State High School League, among others. In over 25 years of teaching and coaching communications, Professor Groven has received a number of awards. These include: University of Minnesota Rhetoric Department Excellence in Teaching Award (twice); Concordia College Debate Institute Teaching Award (five times); Minnesota State High School League Section Coach of the Year (twice); Minnesota Debate Teachers Association Coach of the Year; the Apple Core Coaching Award, and the Lamplighter Award for service and leadership. As an undergraduate, Professor Groven participated in competitive speech and debate activities. He earned many national level trophies and advanced in elimination rounds at most major college speech and debate tournaments held in the nation.